Brighten up your bathroom with this soft, thirsty Quick-Dri 6-pc. Striped Towel Set that is textured to reduce drying time. 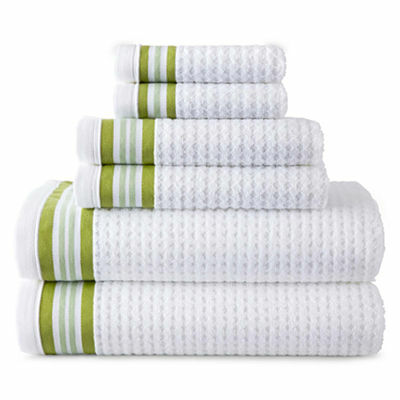 6-piece set includes: two bath towels, two hand towels and two washcloths. $12-$84. Buy here.